Your Daily Link Fix: The Stella Tower is Selling Out Fast; Was J.Lo’s Concert a Flop? Tony Winner to Sell Luxury Duplex: Tony-winning composer Adam Guettel threw one last party before putting his apartment at The Osborne on the market. Page Six has his reason for parting with such a beautiful place. Brooklyn’s Newest Foodie Neighborhoods: Brooklyn Magazine has the newest neighborhoods to check out if you want to make your stomach love you… and then maybe hate you later. Was J.Lo’s Free Bronx Concert A Flop? : First of all, we can’t believe J.Lo has never had a concert in her home, the Bronx, since her debut album. According the New York Observer, the rest of the Bronx agrees that she’s just Jenny from the block… and didn’t see a need to show up. Stella Tower is Selling Fast: The Stella Tower can’t identify with J.Lo’s plight. The development has only been on the market for a month, but the Real Deal has been told that they’re already 60% sold out. The sales and marketing team is exclusively Douglas Elliman agents. Morris Adjmi Apartments Coming to Williamsburg: The architecture firm is developing a 13-story, 82-unit rental apartment on South 5th Street and Curbed has the renderings. 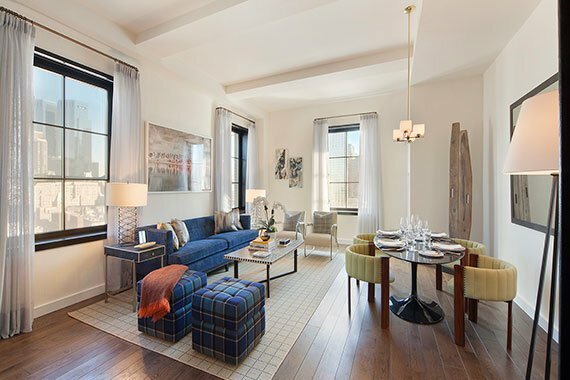 Mamie Gummer Buys $1.74M Chelsea Pad: Meryl Streeps daughter, an accomplished actress herself, has purchased a home not too far from her famous mother’s apartment, and the New York Post has the details.